Step 1. Load Blu-ray movies to the Blu-ray to 1080p HD Video Converter. Connect the external BD drive with you Mac and place Blu-ray disc in BD drive. Launch the Mac Blu-ray to 1080p HD Video Converter, when the Welcome page pops up, Click “Try” to continue. In the Main interface, you’ll find “Add Video” and “BD/DVD Folder”. Click the latter to load source Blu-ray movie. By default the chapters are listed in Title Mode, select the movie chapters you’d like to copy to Mac and set subtitles and audio track for them. Leave others unchecked. Step 2. Select desired output format for Blu-ray to 1080p HD MP4, M4V or MOV conversion. Pavtube iMedia Converter for Mac is recommended as a best tool to help you complete the Blu-ray to HD Video conversion, as it features versatile optimized formats. To rip Blu-ray to 1080p HD video, you can click the “Format” bar, and choose a favorable format from “HD Video” tab. Both “H.264 HD Video (*.mp4)” and H.264 HD Video (*.mov)” makes 1080p HD video with 5.1 surround sound and will play spellbinding picture on 48’ HDTV. To further improve the video quality, you may click on “Settings” and set video bit rate up. To shrink the output file size, you may set video bit rate and frame rate down. 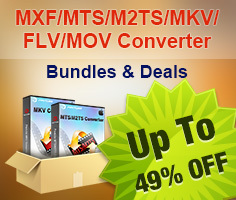 To get 1080p M4V video, you may select “M4V –MPEG-4 Video (*.m4v) and set video bit rate to 120000kbps~ 180000kbps. Step 3. Start ripping Blu-ray to 1080p HD MP4, M4V or MOV videos. 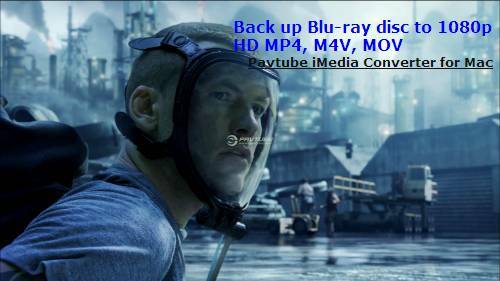 Now click "Convert" button to rip blu-ray to 1080p HD MP4, M4V or MOV videos. When the conversion task is completed, get the final output files by clicking “Open” button. Now you have backed up the protected commercial blu-ray movies to 1080p HD videos, just copy the HD movies to iTunes Library or any other location you like. Both iTunes 10 and QuickTime Player 7 plays the HD MP4, M4V and MOV videos well. You may also use HDMI cable to connect Mac with HDTV and watch the ripped 1080p movies on HDTV. The videos are in high quality. You can hardly tell the differences from original blu-ray discs, but file size is one thirds or even two thirds down. Tip 1: If you would like to combine all the chapters into one file, please check Merge into one file. Tip 2: Due to the huge file size of blu-ray movie, it usually takes hours to rip a blu-ray movie to 1080p HD MP4, M4V or MOV video. You may click “Option” and check “Shutdown computer after conversion” before conversion progress starts so that Mac will shutdown itself upon the completion of tasks. Tip 3: To get lossless blu-ray contents and retain blu-ray structure and menu, you may make full copy of blu-ray disc. Tip 4: You can make the Blu-ray to 1080p HD Video conversion as complex as you want with the Editing facilities. You may cut off black edges, trim out unwanted ads, add watermark, replace audio, flip video, etc. Simply click on “Editor” button on main interface to enter editing panel.